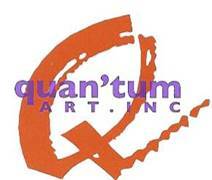 From Lillian Brooks, A Friend of the Arts and Much More | Quantum Art Inc.
Getting involved in an artistic activity can be an extremely positive experience for children with learning disabilities. In part, this is because the arts enable children to express themselves in an alternative way, one which places less emphasis on spoken and written communication. It also provides a much-needed boost of self-confidence in children who feel disadvantaged in more traditional academic settings. According to The Guardian, studies have shown that children with autism and other learning disabilities tend to be highly creative. Their ability to see the world in a different way enables creative thinking, meaning that children with learning disabilities are ideally suited to the arts. However, for a child to benefit from the arts, they do not need to be exceptionally gifted. Although there are many examples throughout history of creative geniuses with learning disabilities, it is important not to focus on this. The point of encouraging creativity in a child with a learning disability is not to point them toward a stellar career but simply to provide them with an emotional and intellectual outlet. With arts programs over the country in danger of being scrapped, you can’t always rely on schools to provide the creative outlet a child needs. Here are a few ways you can encourage a child with a learning disability to get involved with the arts at home. One of the best ways to encourage a child to pursue an artistic hobby is to give them a safe, private space to do so. If you are worried about their bedroom getting messy, give them a dedicated hobby room where they can fully explore their creativity. Make sure the surfaces in the room are easy to wipe clean, and consider painting a wall with a whiteboard or blackboard paint. This allows them to explore their creative impulses without boundaries — and without creating a big mess for you. The National Endowment for the Arts lists several benefits for children going to museums, including an increased sense of curiosity and creativity, as well as an opportunity for artistic dialogue between children and adults. Teaching your child to understand, conceptualize, and discuss art, or even just to enjoy it, is a surefire way to encourage them to engage with it when they return home. Make sure to tailor your cultural activities to the child’s interest. For instance, if they like clay modeling, take them to see sculptures. This also goes for other art forms. If your child likes dance, take them to the ballet; if they are learning to play an instrument, go see a child-friendly performance. 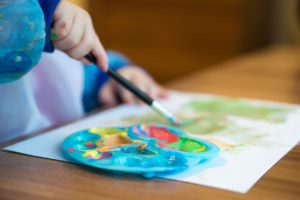 While most children start with crayons, there is a huge range of materials that children can safely use to express their creativity, including clay, pencils, pastels, paints, collage, and decopatch. You don’t have to buy them a full set of every possible media right away, but buying them new art materials once in a while can keep them motivated to try new things. There are plenty of children’s books, magazines, and TV shows that explore the arts in a child-friendly way. Taking into consideration their disability, look for any media that could develop their interest in art. For a child with a learning disability, arts and crafts can be a wonderful way to escape everyday life, express themselves, and develop a skill. A love of the arts is one of the most powerful tools you can give a child with learning disabilities, one that they can carry with them for the rest of their lives as a source of inspiration and comfort.